I have always believed that my most important work was still in front of me and sometimes as I think about that statement I realize that that very mentality may just keep me from realizing or accepting that some of my best work happened way back when as I was preparing for the here and now. I am not usually one that likes to dwell on past accomplishments in lieu of focusing on the future. Maybe it’s a sense of humility and that no matter what happened, I can’t take those accomplishments too seriously and fail to see the opportunity in front of me today. In my business, I am constantly trying and find the balance between looking at the past and applying it to the future. I am doing especially now and in my articles, so you can get a real sense of what drives me in my business of real estate investing in Sacramento, Stockton and Modesto. 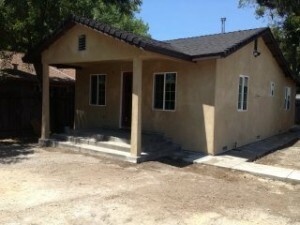 My name is Peter Westbrook and I am a Sacramento real estate investor. 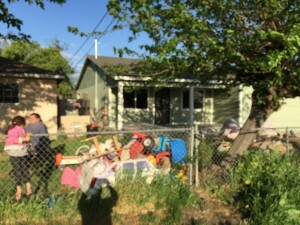 Yes, I am a cash home buyer and I buy houses in Sacramento and you may have seen my signs around town that say “We Buy Houses in Any Condition”. That is me, I am the Man behind the sign. As I sat down to write this blog post I have been looking back at the early days and I have started watching some older videos of houses that I bought. I specifically watched the before and after videos with a great sense of satisfaction, accomplishment and pride that over the past 10 years, I had built a real estate business that helps so many people. This isn’t to boast about myself, its a stop and smell the roses for moment that validates my work and says to me “mission accomplished”. It is really about helping more people, I realize that my videos are not just relics of old houses, they are a statement of hope for me and my past customers, and now for all of the others that still may need my help. This is one of those after videos that I am quite proud of. I remember this house like it was yesterday. There are so many issues that the homeowner was dealing with. He was about to lose every bit of equity. It was happening very fast. But it didn’t start that way. It never does. At first it was nickels and dimes that nobody noticed and then it became ugly quick. The City of Stockton and the Health Department stepped in and told the owner to fix the issues or they would level it. Fortunately for both of us, Leonards next call was to me and that is very important. But this video is about the other side of that story. 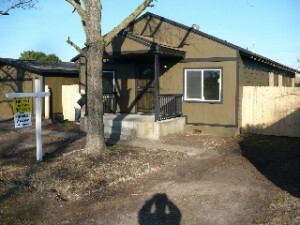 It’s about a ugly house that got transformed into a beautiful home for the new owners. Peter Westbrook: Hello everyone. Peter Westbrook here with Westbrook Real Estate Investments. 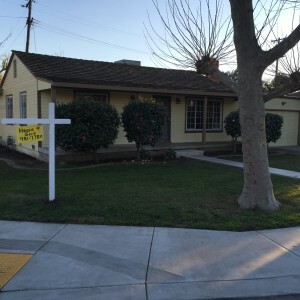 I’m standing out in front of 1607 East Walnut Street in Stockton. It’s a great little neighborhood, right across the street from a school and a park. It’s an elementary school. And you’re going to notice that we’ve put over 20 yards of concrete, we actually have a new slab for the garage right in front of you, see. New garage door, new roof on both the house and the garage. A new patio in the front. You can see the new slab there that’s been poured. All New windows and doors throughout the house. A lot of lighting on the outside that we’ve added. It’s got a tankless water heater, air conditioning, central air and heat. And as we walk up, we’re going to walk into the front door and you’re going to see the family room, kitchen. And this is an open floor plan. Brand new cabinets. All solid wood, granite countertops. Gas oven and range with a microwave. All the walls had been re-drywalled, textured. Again, new central air throughout. Ceiling fans in all the rooms except the bathroom. As we walk back we’re going to see the first bedroom here on the left. There’s a closet you can see there and then a nice size room. As we walk to the back again, brand new windows. There’s a ceiling fan. And so we’ll walk out to a little hallway which goes to the bathroom and then we have the second bedroom that I’m going to show you here. And crown molding. That’s the other thing. There is Crown molding throughout the house, and there’s the vent for the central heat and air. The thermostat right there, and then the bathroom has been completely remodeled as well. Tile enclosure, tile floors, all porcelain. A new vanity, new mirror, new lighting. Again, this house has been completely gone through and you know, we’ve done so much work. There’s a little storage area here in the bathroom as well for towels. This house is virtually new. I mean, when I say new, everything in it is pretty much new. 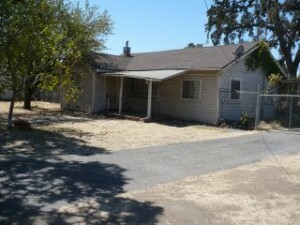 Foundation is really good on this property and this house is selling for $129,000 if you’re interested, give me a call at (209) 481-7780 again, my name is Peter Westbrook with Westbrook Real Estate Investments, or you could visit my website at www.westbrookrei.com/we-buy-houses-sacramento. I Hope to talk to you. Thank you for watching. Bye.